Best Buy founder Schulze rejects the terms of an agreement that was offered by the company. Best Buy, the troubled electronics retailer, has reached an impasse with founder Richard Schulze over his attempt to buy the retailer's outstanding shares. In a statement issued late Sunday, Best Buy said Schulze rejected a deal that would have the company cooperate with his effort to gain control. Best Buy called the terms of the agreement "routine and normal"
But Schulze, in a statement of his own, said Best Buy wanted an 18-month standstill agreement, which would would prohibit him from buying Best Buy stock during that period. At the same time, Schulze and his team would get access to non-public information about the company's finances and the opportunity to make a "fully financed" proposal to the Best Buy board in 60 days. Best Buy then shortened the proposed standstill to last until January 2013, after the holiday shopping season. "The board proposed that Mr. Schulze, beginning in January, be allowed to take his buyout offer to shareholders," said Best Buy, in a press release. "Mr. Schulze did not accept the company proposal." Schulze said that he and Best Buy were in the process of negotiating a shorter standstill agreement -- until the company surprised him by issuing its statement that the founder backed away from the deal. "I am shocked by this course of action. But as the largest shareholder of Best Buy, I remain hopeful that the Board will engage in good faith discussions with us for the benefit of shareholders, employees and customers," he said. "Time is of the essence, and it is imperative that shareholders' interests are not further jeopardized." A spokesman for Schulze did not immediately return a message from CNNMoney. 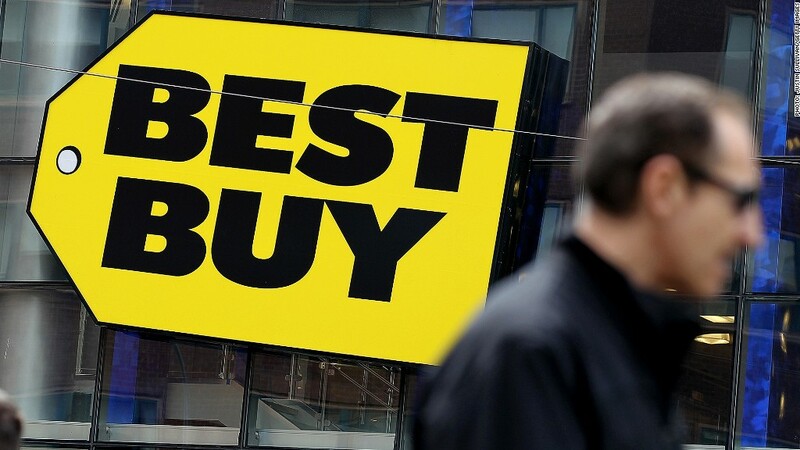 Best Buy's (BBY) stock slipped 8% in morning trading. By contrast, shares jumped as much as 20% on Aug. 6 when Schulze made his bid to buy the outstanding shares, in a deal that would have valued the company at more than $8 billion. Separately, Best Buy said Monday it hired Hubert Joly, former chief executive of Carlson Wagonlit Travel, the operator of T.G.I. Friday's restaurants and Radisson hotels. Joly, who is French, is expected to begin his new job in early September when he secures a visa, Best Buy said. He'll succeed Mike Mikam, who has served as interim CEO since April. The prior CEO, Brian Dunn, stepped down due to what the company said was an inappropriate relationship with an employee. Schulze, who was Best Buy chairman at the time, stepped down in June because he didn't disclose his knowledge about Dunn's relationship with the employe when he found about it last December. Best Buy, a retailer of computers, cameras, televisions and other electronic appliances, has struggled to compete against retailers with a significant presence online, including Amazon (AMZN),Apple Inc (AAPL). and Wal-Mart Stores (WMT). In March, Best Buy announced plans to close 50 stores in the U.S.